M'zab is a limestone plateau in Saharan Algeria and a UNESCO World Heritage Site. 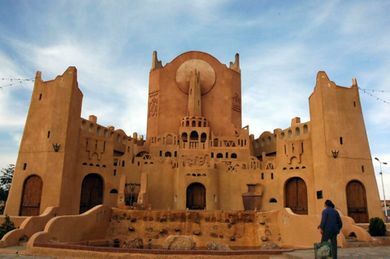 Its collection of desert fortress-cities are exotic to the point of surrealism. 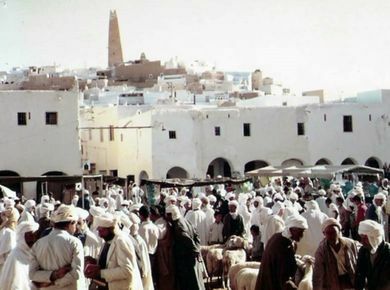 M'zab is made up of five separate "cities," which essentially serve as separate urban centres of one large "Pentapolis," home to over 350,000 people. 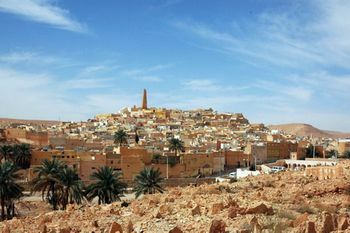 Melika — a small and less remarkable centre, but one that offers the best views of both Ghardaia and Bounoura. 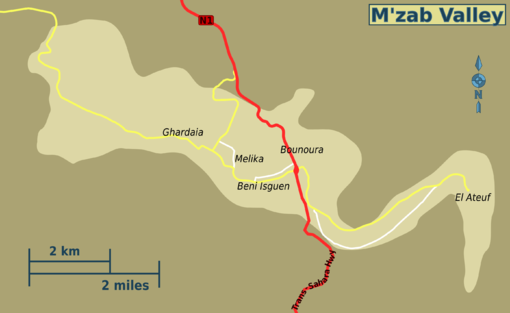 There's only one way you are likely to get to M'zab, and that's by vehicle on the N1 south from Laghouat. This page was last edited on 12 April 2016, at 03:29.